Would you like to test a Linux-based operating system? If you have an old computer to spare, or you are willing to experiment on your primary machine, you do not have to pay for premium operating systems such as Windows. 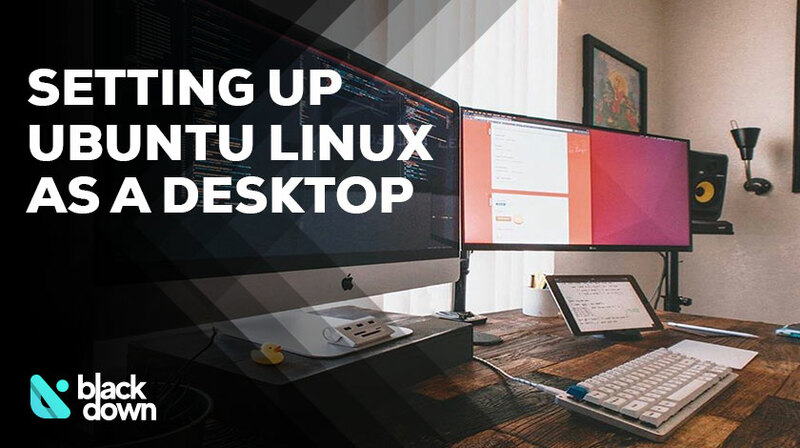 In this guide, I will show you how to install the Ubuntu OS (the desktop version). The process is simple and suitable for starters. A computer – it would be best if you have an old machine you do not use. The recommended system requirements include a 2GHZ processor, 2GB RAM, and 25GB of available hard drive space. Ubuntu OS – it is an open-source operating system, which means you can download it for free (link in the steps below). There are many other OS-es out there but this is the most used one. A DVD or USB to boot the OS – you will need one of these to install Ubuntu. I recommend at least 8GB of storage USB. Active internet connection – a fast internet connection will accelerate the process (even though you can install it offline too). If you have secured all this, let’s start with the guide. Step 1: Download Ubuntu from its official website. I’ve linked you directly to the desktop download page. It is recommended that you always go for the LTS version (which stands for Long-term Support), this means you will have your OS maintained for a longer period than the standard version. Step 2: Mount the downloaded ISO image on a DVD or USB. Before rebooting your machine you need to create a bootable DVD or USB (I recommend a USB as previously stated in the requirements above). To proceed you need a software that can do that and for this task I present to you Rufus. This little tool is extremely easy to use and fast compared to it’s competitors. Make sure you select the image you just downloaded at Step 1 and push the “Start” button. The software knows what to do next (just agree to the next popups, those are related to the fact that it’s going to wipe out your USB). Depending on your machine there are numerous ways to start the Ubuntu installation. You can either enter your BIOS and reorder the bootable drives and setup your USB to go first or you can press the key (F8 in my case but it seems that F12 will do the trick for most cases) at the booting stage and select the USB. Once the setup process starts, you will be prompted to choose your preferred language and keyboard layout. If you don’t really know what to pick here you can use the “Detect Keyboard Layout” feature. Choose between Minimal and Normal installation. I recommend the latter to get the standard Ubuntu package with apps, utilities, media players, and games. Keep in mind that the Normal installation takes extra hard drive space. Do not forget to tick the boxes that allow updates and third-party software. That will install the latest updates while setting up Ubuntu. Pick your desired installation type. You can wipe the hard drive and install Ubuntu or set it up on a drive with an existing operating system. I recommend a clean installation, which means that you should delete any previous OS that the installer detected. I will create another post later on regarding the “Something else” option since it is more complex to explain and it’s out of our simple installation topic. After double-checking everything, start the installation. Choose your location and preferred time zone. Please note that you can either write your location down or use the graphical interface to drag towards the nearest point you actually are on the globe. Pick the desired login details. You can enter your and the PC’s name (feel free to be creative if you feel like it). You can also pick a username and password for added security. The last thing to do is relax and grab a cup of coffee. The installer will reboot your PC once during the installation. As soon as that happens, you will be able to access your new Ubuntu OS. Feel free to look around and get to know your new operating system. That rounds up my guide on installing a Linux Desktop OS. I tried to make it as simple as possible, but if you still have any questions, do not hesitate to ask them!